Ships tomorrow if you order in the next 19 hours 5 minutes. Alive Womens 50+ Gummy Vitamins from Natures Way is a natural multivitamin for women over 50 that is made with 26 fruits and vegetables plus vitamins and minerals for whole body nourishment. Other Ingredients: cane sugar, organic tapioca syrup, pectin, citric acid, natural flavors, colors (maqui berry, black carrot extract, beta carotene), fractionated coconut oil (non-hydrogenated), beeswax. Contains NO: gelatin, yeast, wheat, gluten, dairy, eggs, peanuts, artificial flavors or preservatives. Adults: Chew 3 gummies daily. As with any supplement, if you are pregnant, nursing or taking any medication, consult your doctor before use. Not formulated for children. Do not exceed recommended use. Keep out of the reach of children. As a vegetarian I love that Alive Womens 50+ Gummy Vitamins are not filled with gelatin and corn syrup and stuff like that. They are very tasty, and good when you have problems swallowing pills as I do. I especially loved how quick I received them in the mail from Natural Healthy Concepts.com. I think i spent way more time than that looking for them in stores than I that, and this place was cheaper when I did find them. Once you get up there in age, between the supplements and any other pill prescribed by your doctor, thats a lot of pills to swallow. With these gummy's I feel as though I am a kid again. 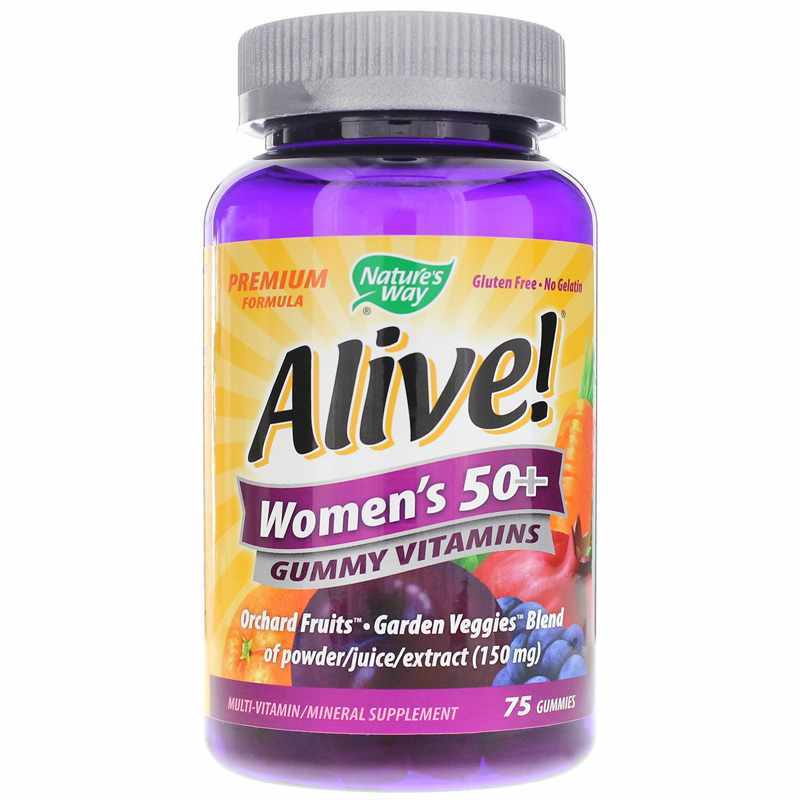 Alive Womens 50+ Gummy Vitamins taste great and are fun too. I just love my Alive Gummy Vitamins by Natures Way. What else can I say? So many healthy ingredients and tastes great! 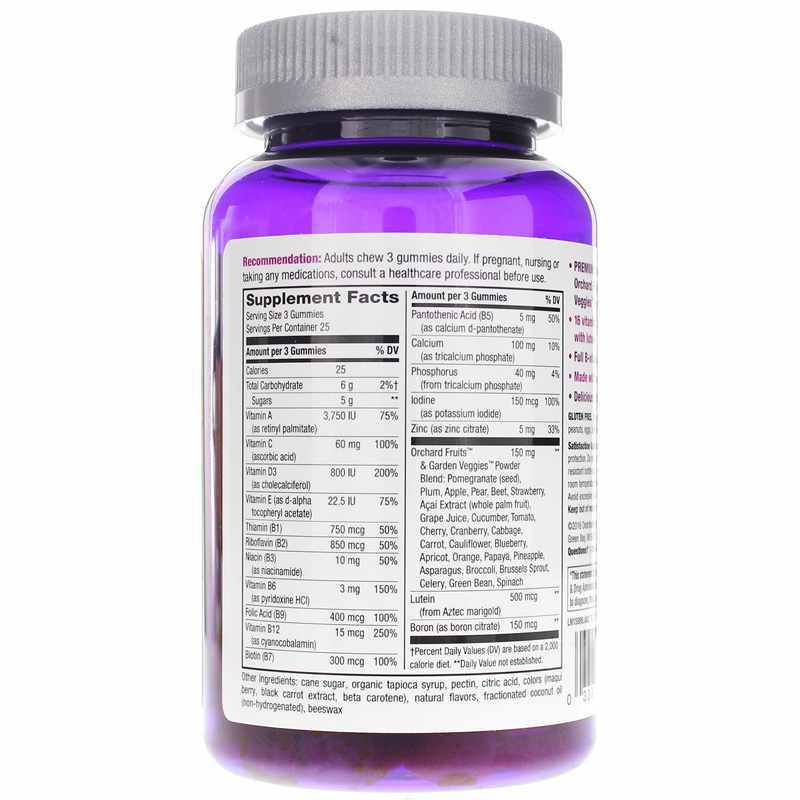 Alive Womens 50+ Gummy Vitamins are high quality and priced lower than stores. Have always hated big chalky multi vitamins. 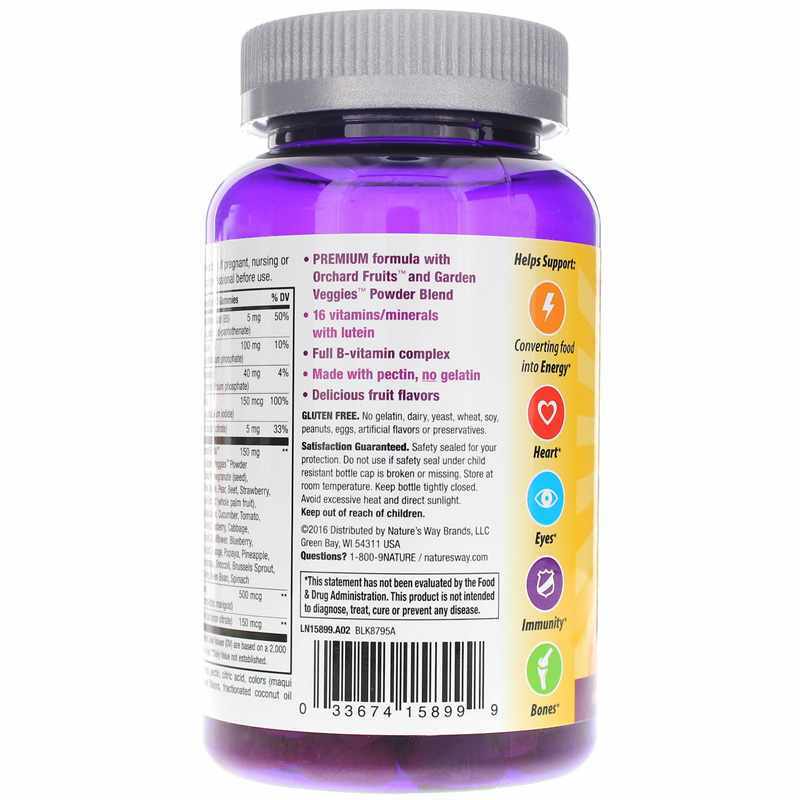 Alive Womens 50+ Gummy Vitamins is the perfect alternative. I have been taking these for years, and I think they are a good combination of vitamins. I have Crohns disease, so a regular pill won't work for me. At least I know I am absorbing the vitamins with the "gummy" type.